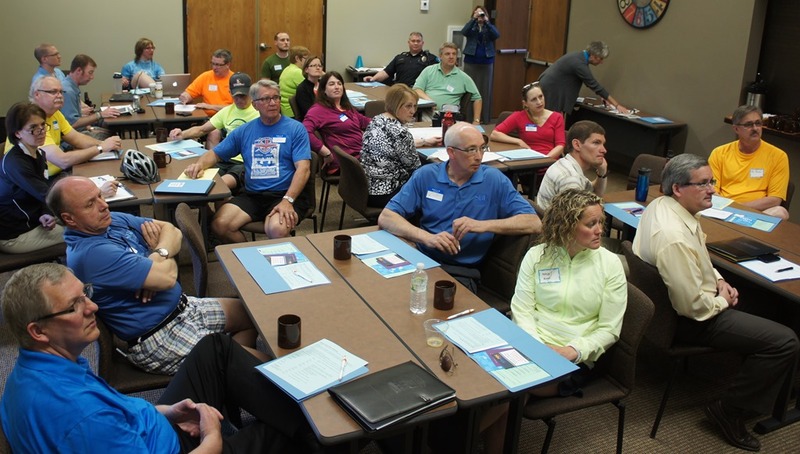 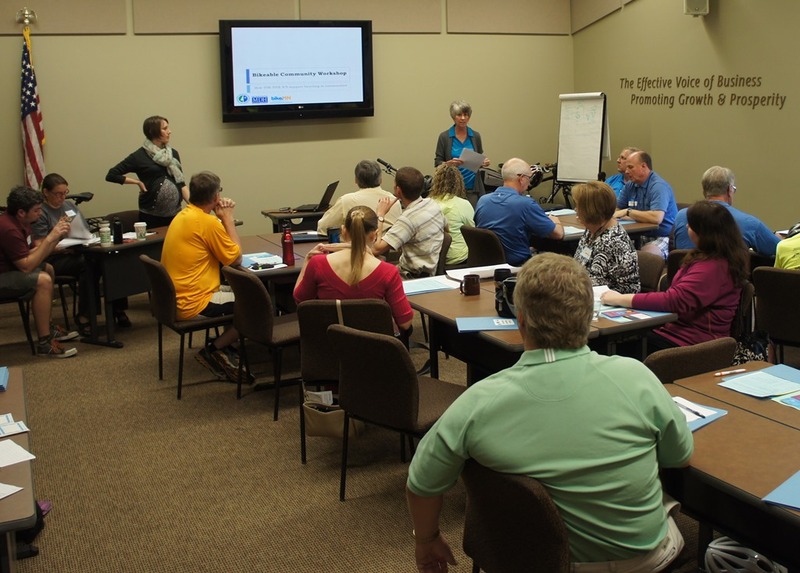 Northfield City Administrator and Faribault resident Tim Madigan alerted me to a Bikeable Community Workshop hosted by the Faribault Area Chamber of Commerce and Tourism last week. 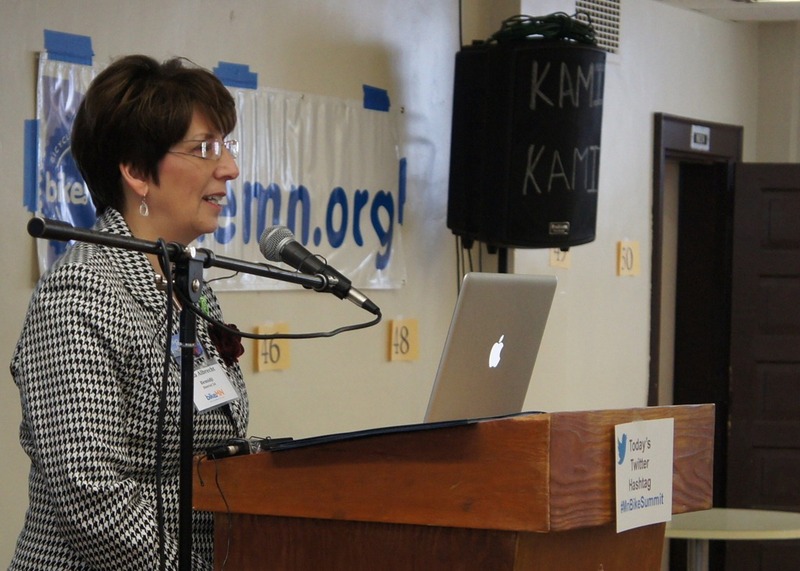 I contacted Kymn Anderson, Chamber President, to see if there was room for any Northfielders and she graciously allowed me to attend. 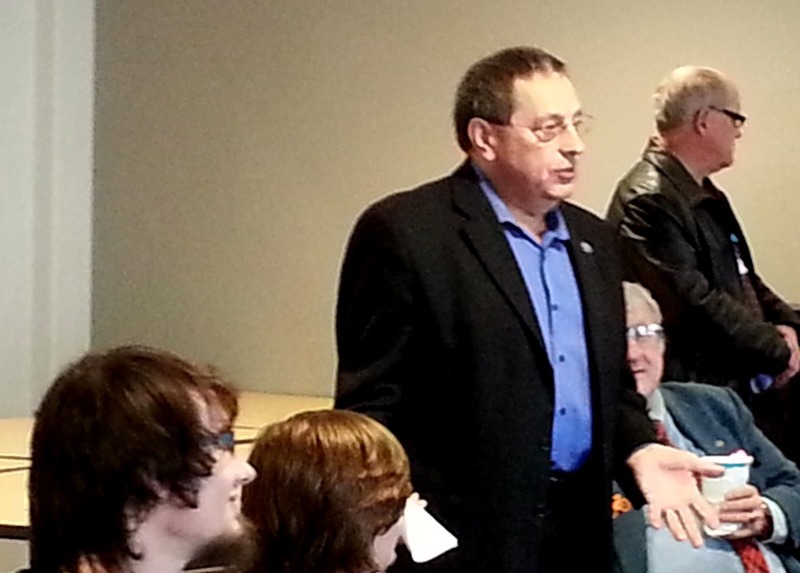 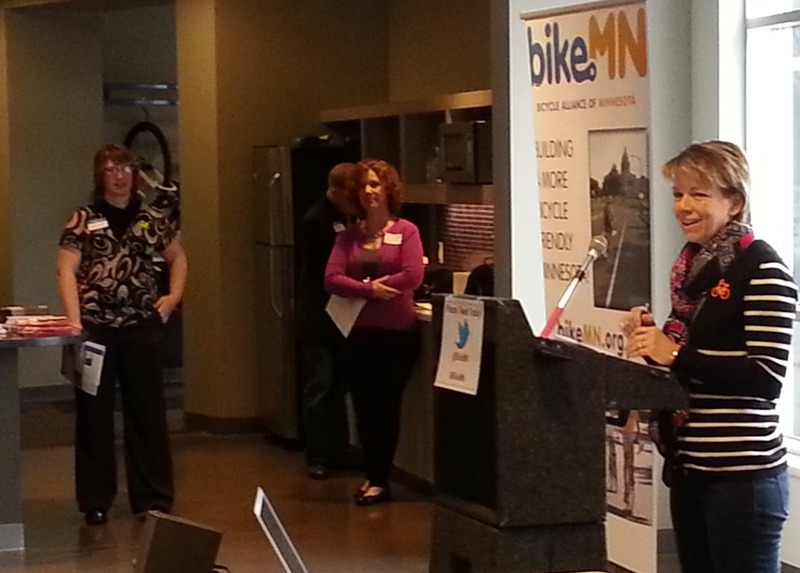 Northfield City Councilor Suzie Nakasian was there, too. 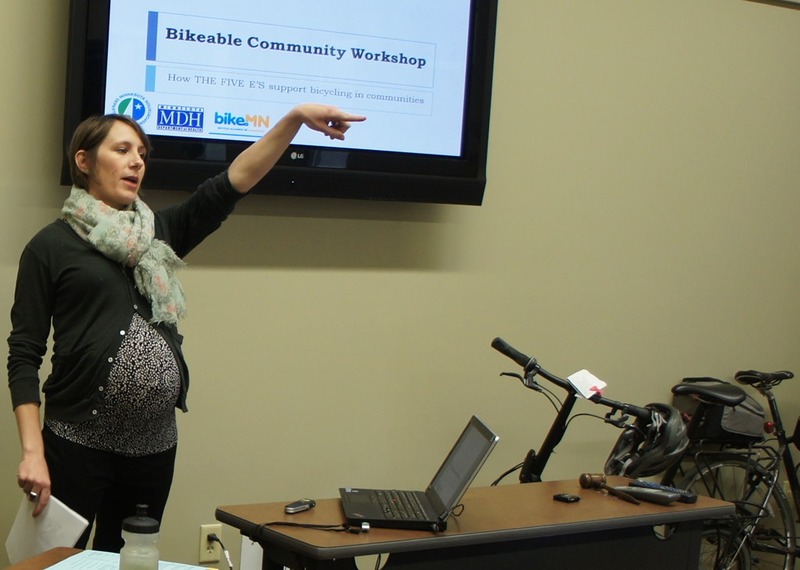 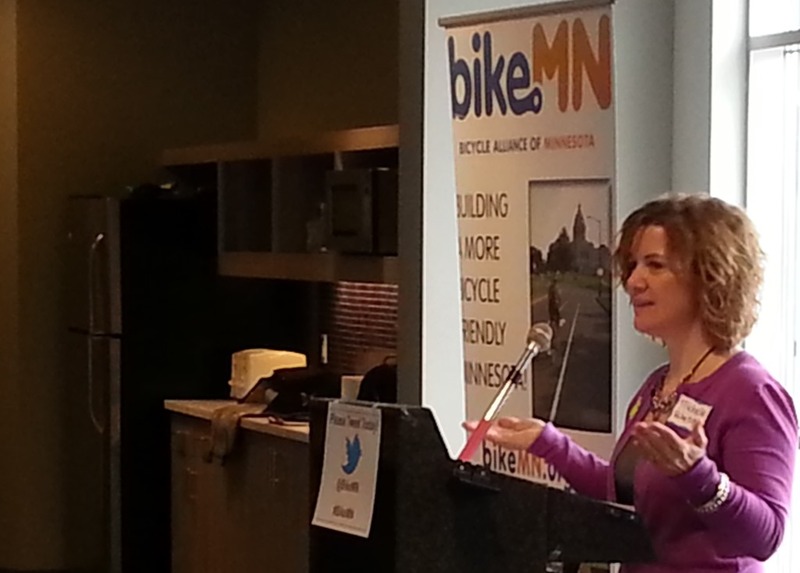 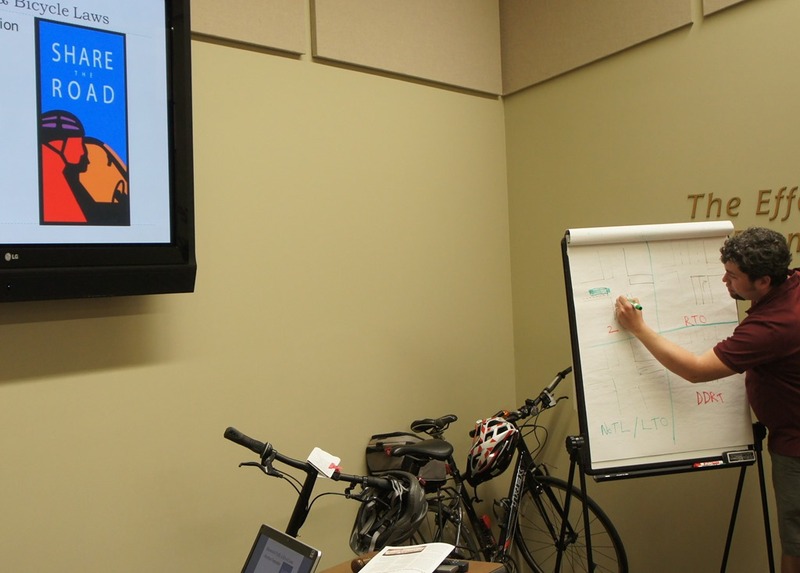 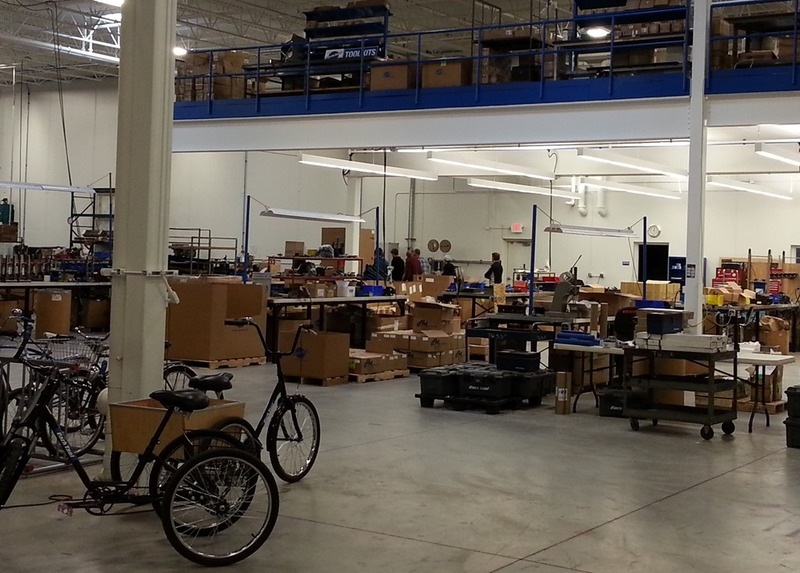 A Bikeable Community Workshop trains local, county and regional staff, and advocates on how to plan and support more Bike Friendly Communities to encourage more people on bikes more often in Minnesota. 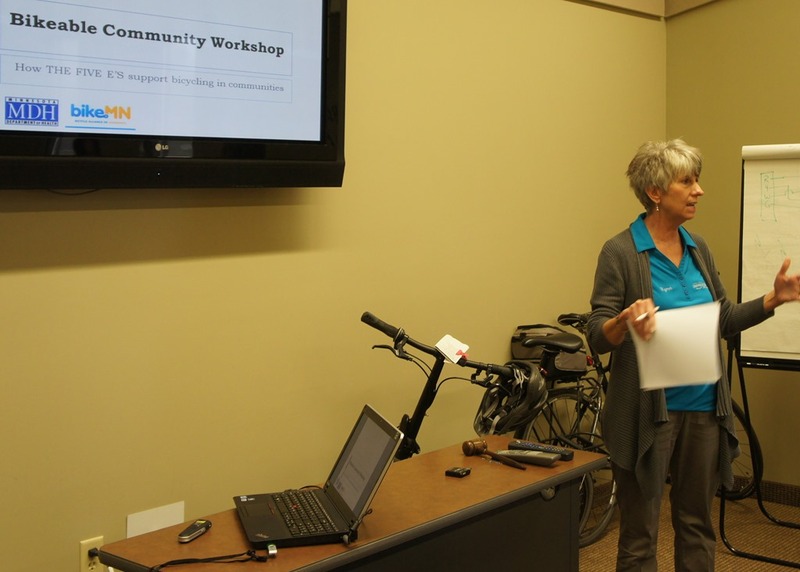 Participants enjoy a short bike ride with the best bike locks to assess their community’s bicycle facilities to base an action plan on. 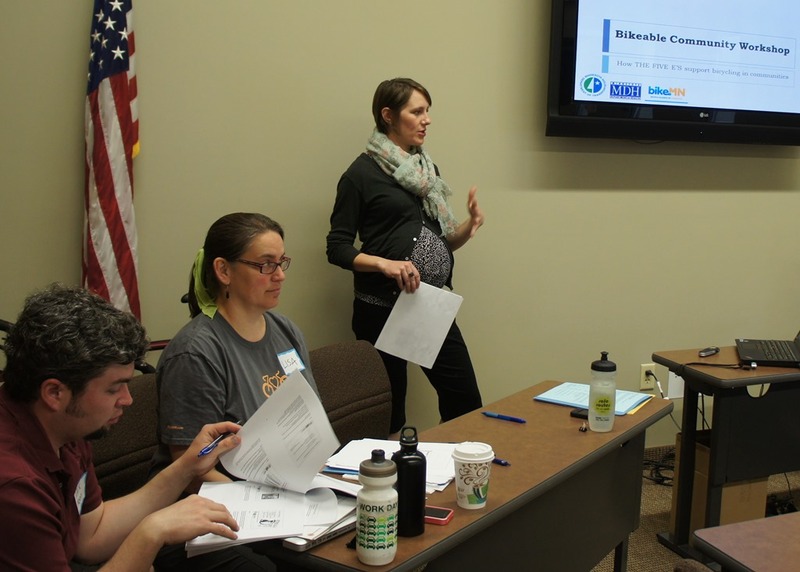 Target audiences include engineers, law enforcement, planners, public health practitioners, school administrators, elected officials, and advocates. 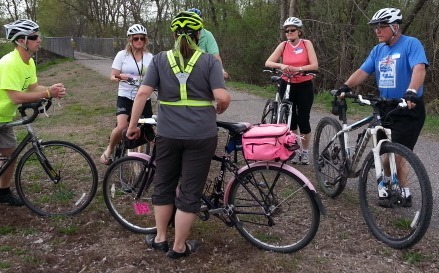 The course includes a short bicycle ride auditing your community. 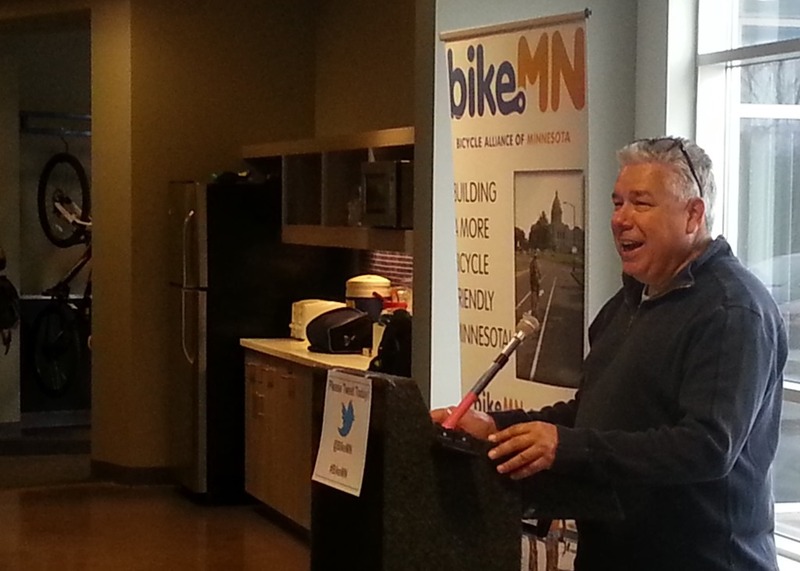 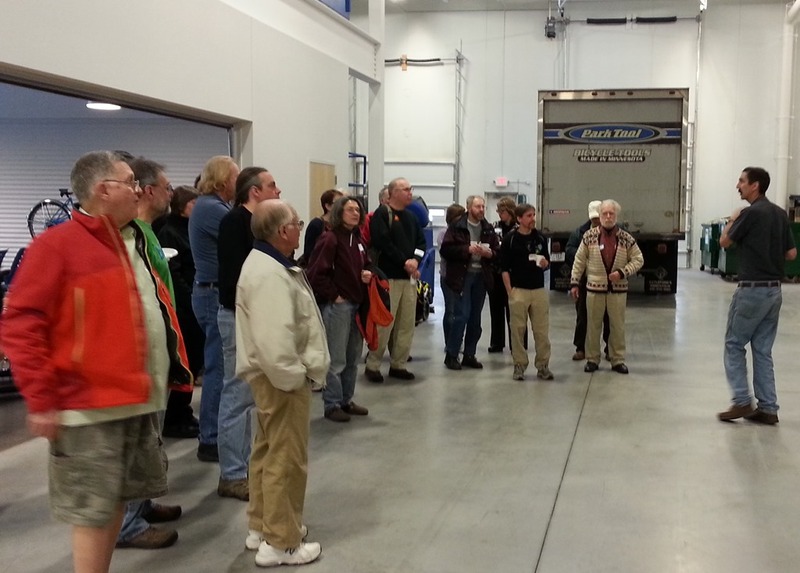 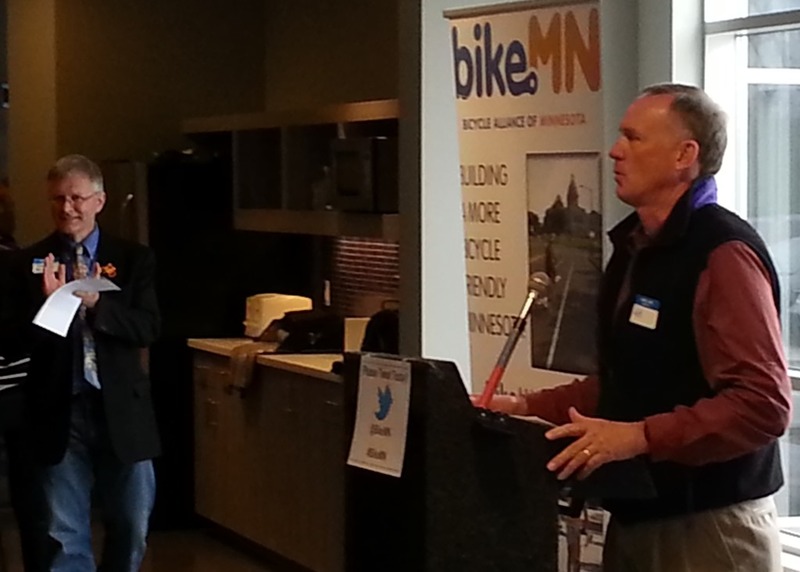 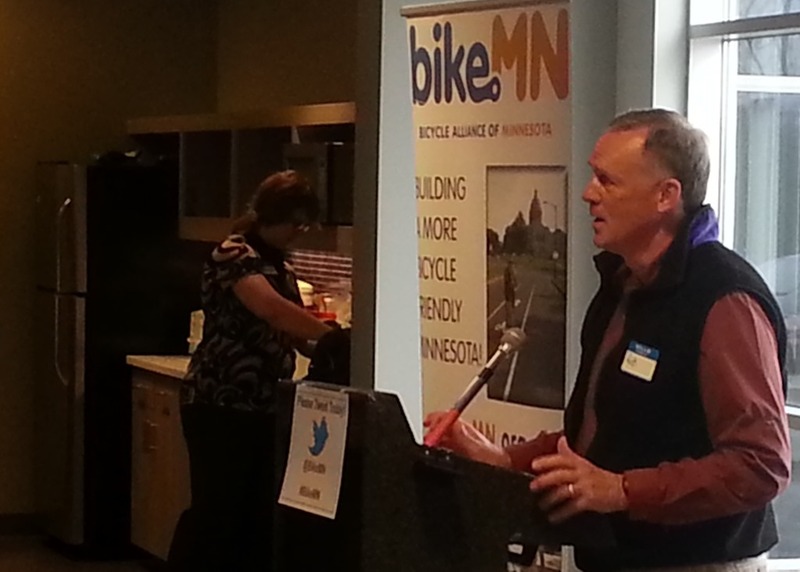 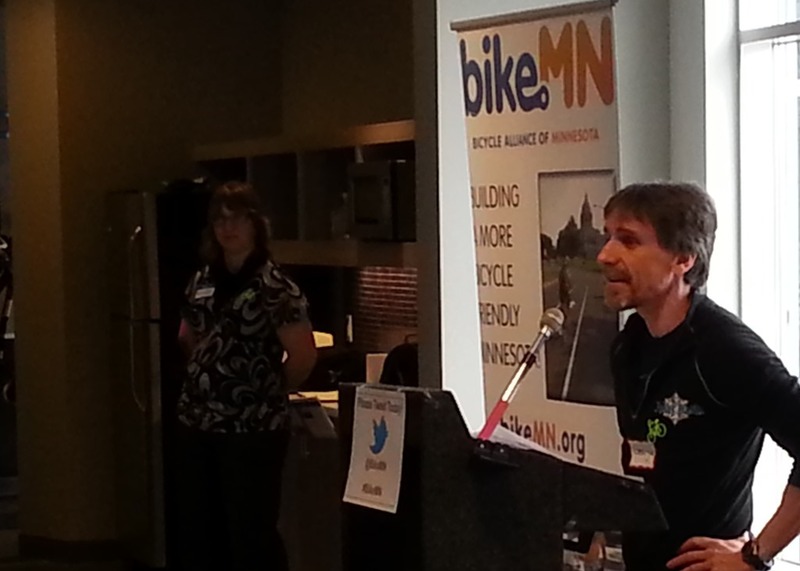 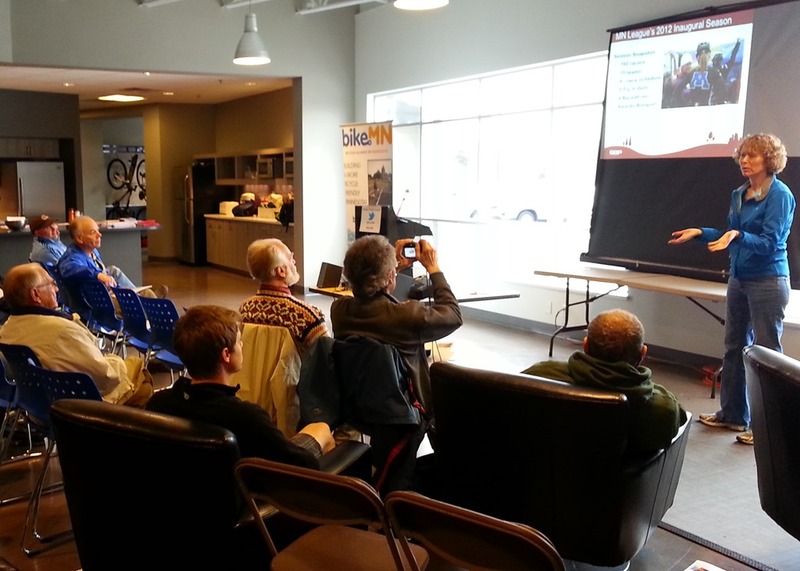 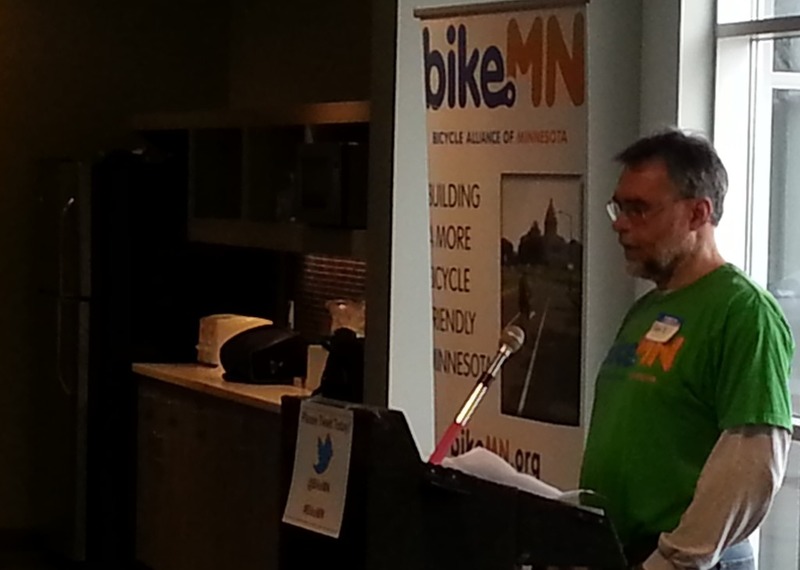 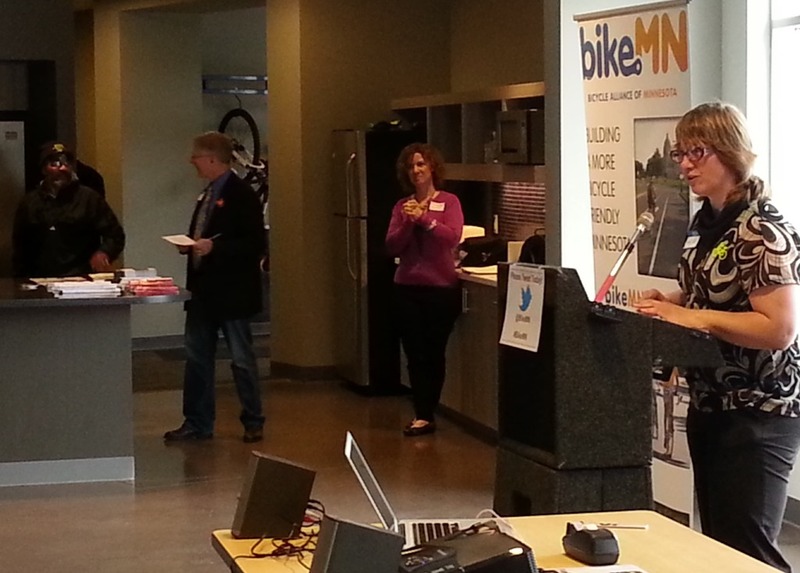 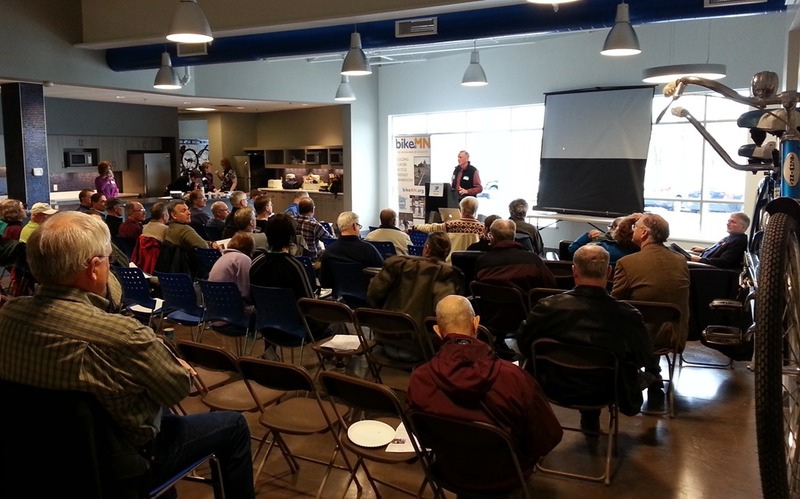 The workshop was presented by staff from the Bicycle Alliance of Minnesota, the Minnesota Department of Health, and the Minnesota Department of Transportation. 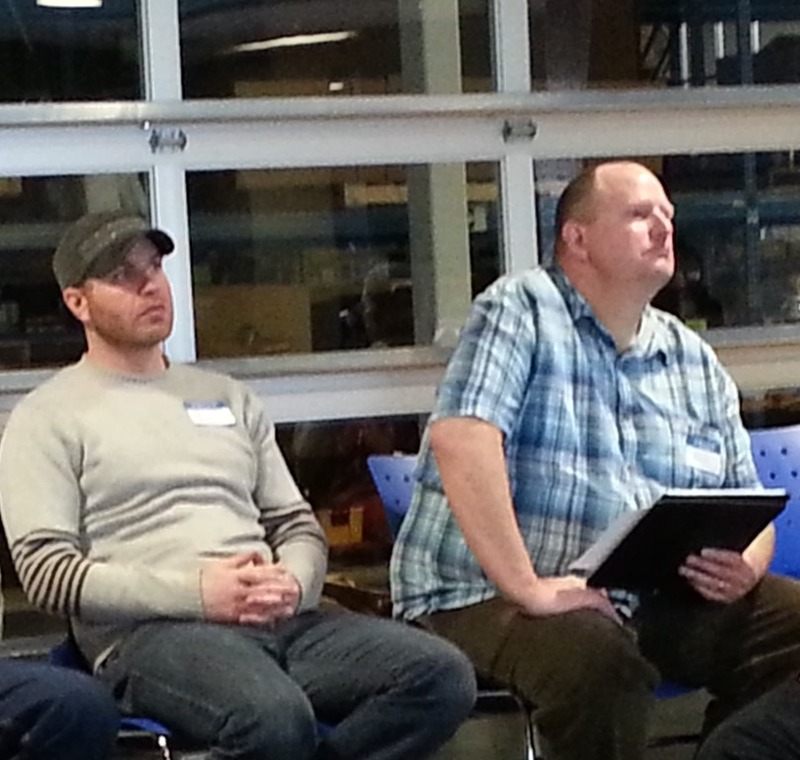 These folks knew their stuff and presented it well. 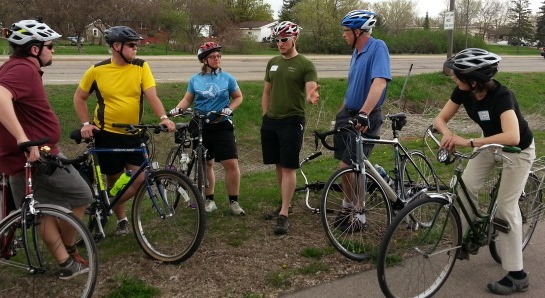 After the morning session, we broke up into three groups for a bike audit ride around Faribault. 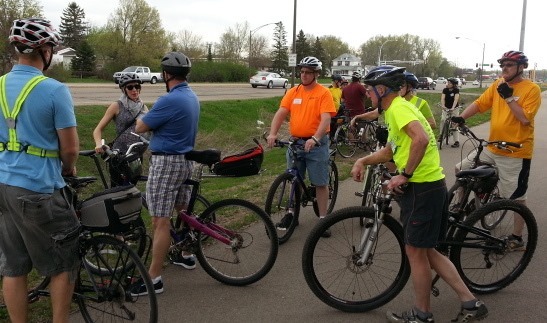 See the May 14 Faribault Daily News by reporter Rebecca Rodenborg (@FDNRebecca): Faribault leaders take on bikeability issue. 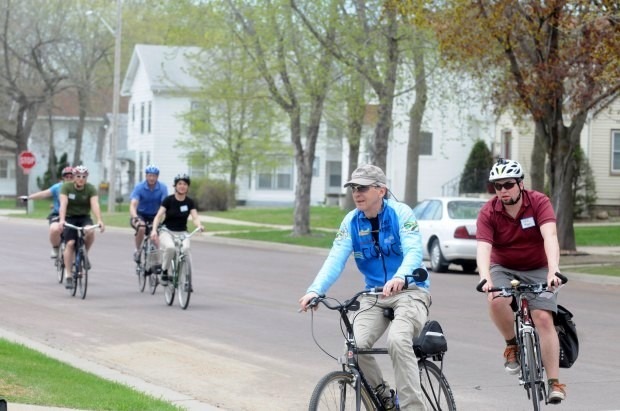 Also see her earlier article on May 4: How bike-friendly is Faribault? 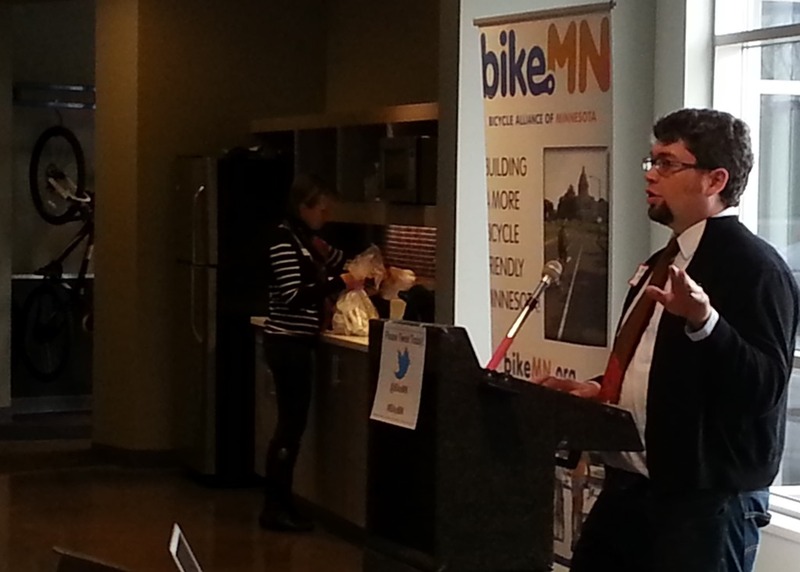 Advise the Mayor, City Council, and Park Board on bicycling related issues; help advance the state of bicycle infrastructure; encourage more people to bike; educate the public; work towards more compliance with traffic laws; help the City and Park Board make bicycle plans; work to increase equity between bicyclist and other modes of transportation; review and suggest legislative and policy changes; recommend priorities for the use of public funds on bicycle projects; help ensure Minneapolis keeps and improves its status as a bicycle friendly community; serve as a liaison between Mpls communities and the City and Park Board, coordinate between difference agencies that interact with bicyclists. 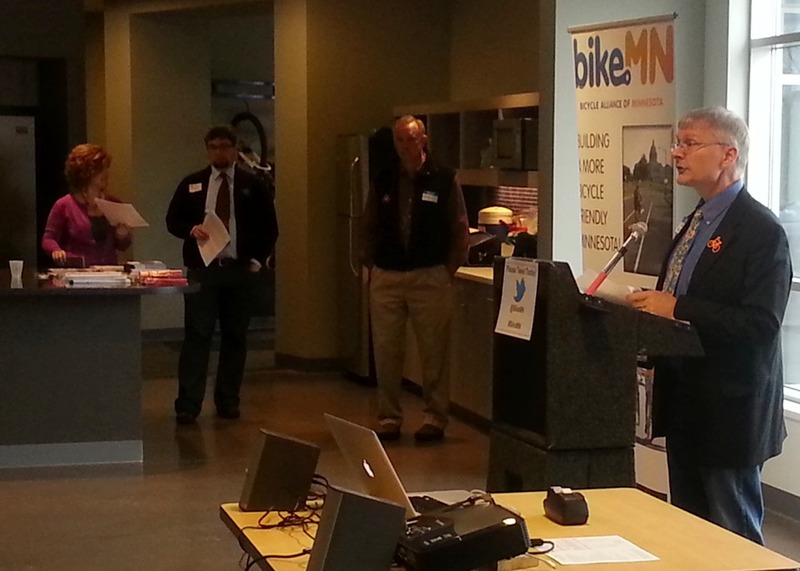 Props to Kymn Anderson at the Faribault Area Chamber of Commerce and Tourism and the Faribault area bicycle advocates for hosting the session. 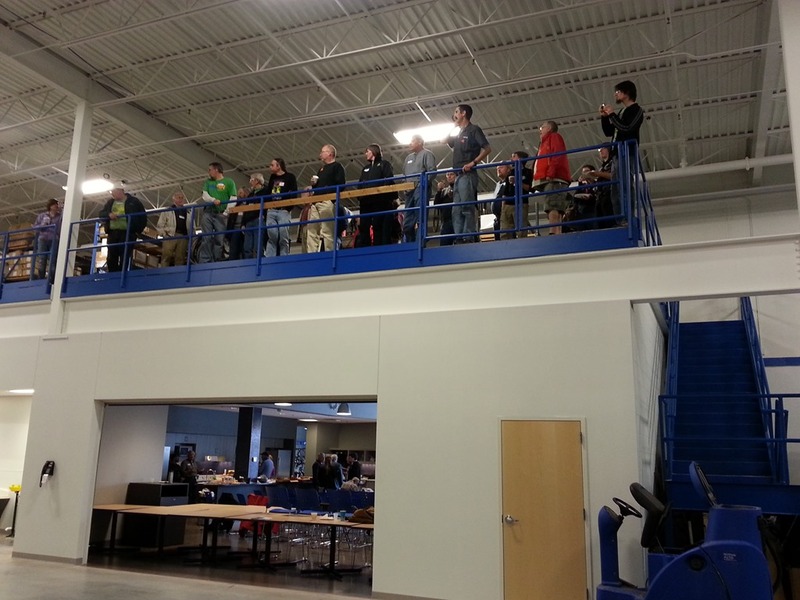 It was inspiring.